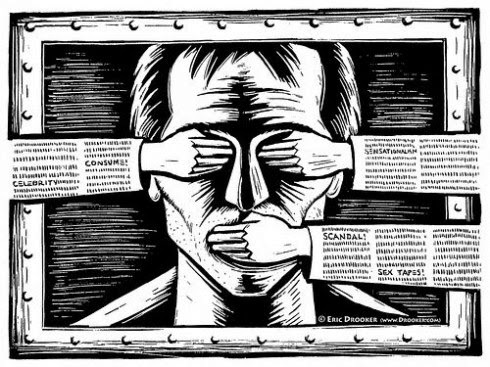 Yesterday the Council of the European Union adopted guidelines on freedom of expression. As these guidelines were adopted by the Foreign Affairs Council, it is not surprising that they are aimed at implementation within the Union’s Common Foreign and Security Policy, like the ten previous guidelines on issues such as torture, the death penalty and human rights defenders. So, while the guidelines are ‘guided’ by the EU Charter, as well as any relevant EU treaty provisions, the principal sources referred to are the provisions in the United Nations’ International Covenant on Civil and Political Rights (ICCPR) as well as the UN Human Rights Committee’s General Comment 34 on Freedom of Expression. The list of sources contained in the Annex is far wider, however. It is also worthwhile noting that there is some discrepancy between what the EU asks of others – especially would be Member States via the Copenhagen criteria applied to planned accession candidates – and the recent practice of its own Member States (whether that be Hungary or the United Kingdom). The Guidelines follow what might be termed a standard human rights approach to freedom of expression: that is, that freedom of expression should be interpreted broadly and exceptions narrowly (referring to the list of possible exceptions set out in Article 19(3) ICCPR as well as Article 20(2) ICCPR, on hate speech) and subject to the tests of legality, necessity and proportionality. In explaining the significance of freedom of speech, the Guidelines refer to the significance of that freedom (especially that of the media) in democracy, but they also refer to the human element: that speech is important for self-fulfilment and autonomy, including the development of one’s identity in society, and not just instrumentally in the search for ‘truth’ or the ‘right’ political answer – important though that may be. Having said that, much of the specific points relate to the role of journalism and the media, with the underpinning assumptions about the role of the media as watchdog of those in power. The guidelines also note the horizontal nature of freedom of expression – especially relevant in the context of the Internet and social media, when expression is not just about public institutions and the media speaking to a passive audience (which was the model for much of the previous case law) but also the right of individuals to speak to one another and to receive each others’ views. This point has been given a higher profile in the approach of the Inter-American Court of Human Rights than traditionally has been the case in relation to Article 10 ECHR and Article 19 ICCPR. Despite this emphasis, there is recognition of the both the relationship between privacy and freedom of expression and the tension between them. Interestingly, in this document the former aspect – through consideration of the impact of surveillance on speech - may have a higher profile than the latter. Abusive restrictions on freedom of expression and violence against journalists and other media actors should be taken into account by the EU when deciding on possible suspension of cooperation, notably as regards financial assistance. This is a proposal that some involved in the campaign against impunity have been suggesting for some time. How it works in practice remains to be seen. The Guidelines identify the need to ensure that laws are not used to suppress freedom of expression, and that media regulation is appropriate to ensuring freedom of expression. Note that some of the points in this section go further than the regulatory position required of the Member States of the EU, specifically as regard the independence of regulatory bodies. While the EU’s communications package and the data protection regime expect that there be independent regulatory bodies, there is no such provision in the Audiovisual Media Services Directive, and there is little transparency of media ownership – both to be encouraged according to these guidelines. The Guidelines also note the importance of freedom of expression in cyberspace, and in particular focus on the need to ensure non –discriminatory access to the Internet – though there is less detail on what this actually means beyond support for the multistakeholder model of Internet Governance – as set out by EU strategies, rather than those identified in the Internet Governance Forum or Netmundial, although engagement with these is envisaged in the tools for action. The Guidelines do note the role of private companies, and set out best practice guidelines reflecting back the UN Guiding Principles on Business and Human Rights, as understood through the EU guidance note for ICT companies on business and human rights. The first action point, however, is ‘action at the international level to develop best practices and respect for human rights with regard to the export of technologies that could be used for surveillance or censorship by authoritarian regimes’. The position as regards the United States is not addressed. The significance of the need to protect against excessive surveillance is, however, repeated and its adverse effect of freedom of expression noted. Thus the guidelines specify that EU action will include the promotion of ‘the exchange of good practices to ensure that the legislation and procedures of States regarding the surveillance of communications and the interception and collection of personal data are based on the rule of law, subject to independent, effective and domestic oversight mechanisms and uphold obligations under international human rights law, including the principles of proportionality and necessity’, something which some Member States may need to think about. The call to comply with Council Common Position 2008/944/CFSP on exports of specified military technology does not add much, but the statement that ‘the EU will ensure a structured and consistent approach to export controls of certain sensitive information and ICT items’ is potentially far reaching, though what is envisaged by this statement is unclear. Is there a concern about mobile technology that has had back doors engineered into it (at the request of certain Western governments) for example? The next sentence refers however to specific surveillance/censorship technology, suggesting a far narrower field of concern. Finally, the Guidelines contain plans for evaluation, specifically envisaging a report in three years’ time. While some aspects may show signs of fitting in with global concerns – such as the concerns about the violence against journalists now high on the UN’s agenda or the global revulsion at mass surveillance, it remains hard for the EU successfully to preach certain behaviours when its own Member States have at best a patchy record in these areas.